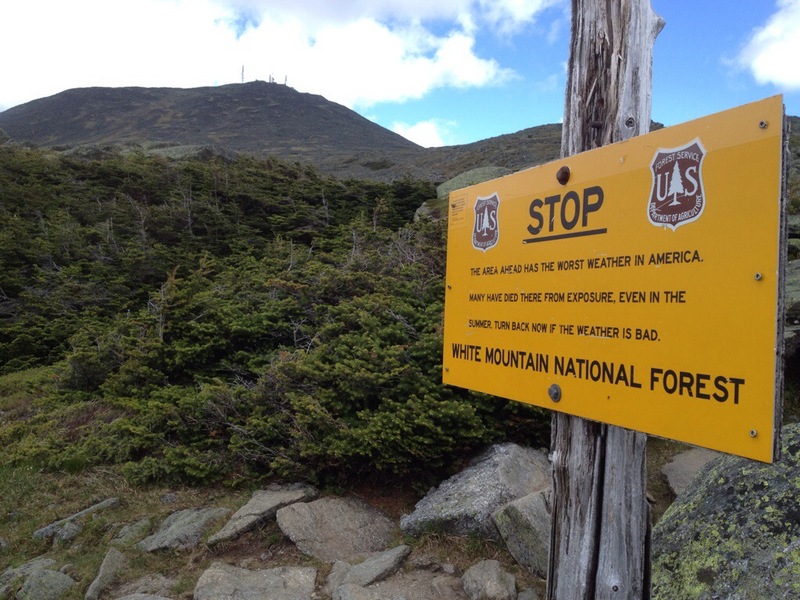 Madison Hut, NH, AT NOBO mile 1,858.1, Sunday June 22, 2014 — I hate rocks, but we’ll come back to that. 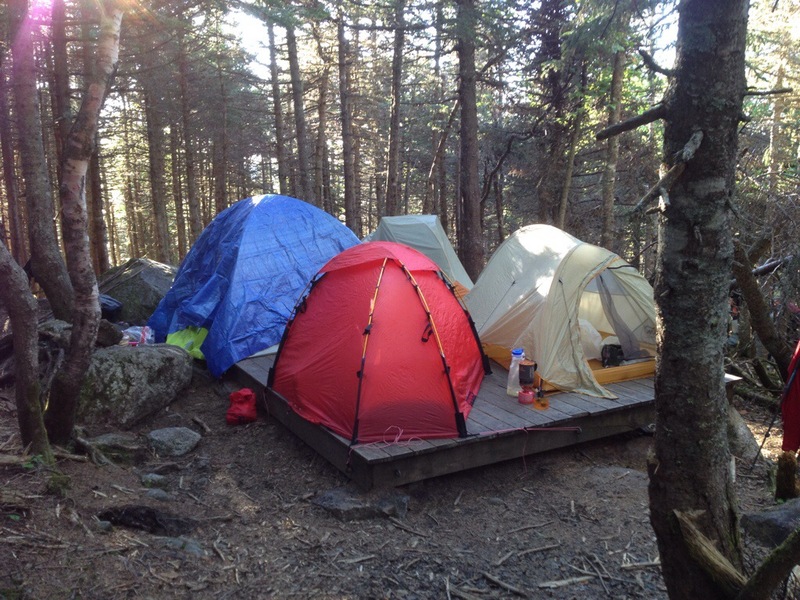 The cusp of the morning in tent city found me sipping coffee with a Dane who is working for IBM in Freeport, ME. Our conversation ranged from corporate leadership techniques to camping gear. I soon scarfed some free leftover oatmeal, a thru hiker privilege, at Mizpah Hut before setting course for Lake of the Clouds Hut nestled upon Mt. Washington’s ample shoulders. Bright sun lit the easy climb. The trail bed again was scree reminding me of Colorado above treeline, only in the Whites you’re not gasping for breath at 13,000 ft. It’s like a skip in the park I reasoned. The gentle trail was appreciated. My knees have been taking a pounding on the rocks, especially on the 30 – 40 inch stepdowns. The pack weight really stretches the tendons. The up hills are a nonproblem until after a punishing down hill. Then everything hurts all the time. It goes with the territory, but it’s unpleasant nevertheless. All that was about to change after Lake of the Clouds. The trail between Clouds and Madison was, in a word, ugly. Lots of rock hopping and big steps. Everything knees hate. I made it to Madison by dinner time, six o’clock, but I don’t know how. 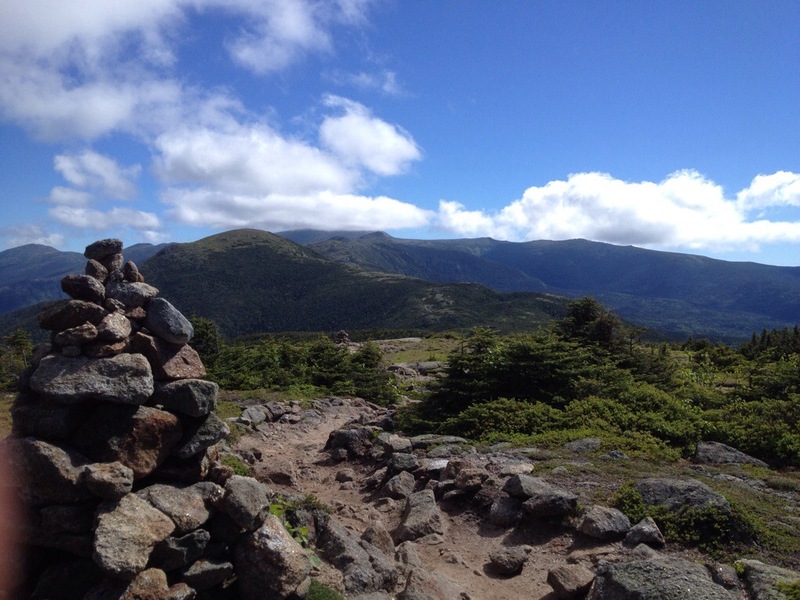 While the trail conditions may have marred the afternoon, the scenery did not disappoint. 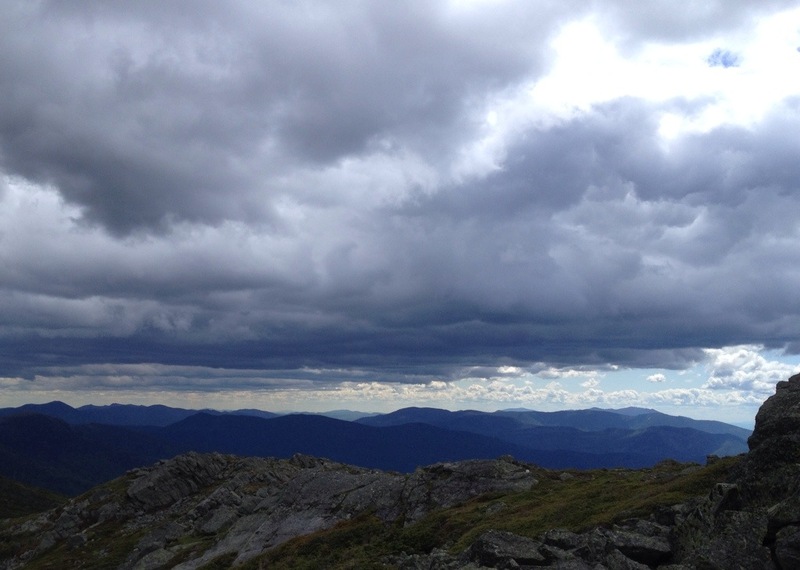 Dramatic clouds draped the vast horizon with possible afternoon rain in the forecast. 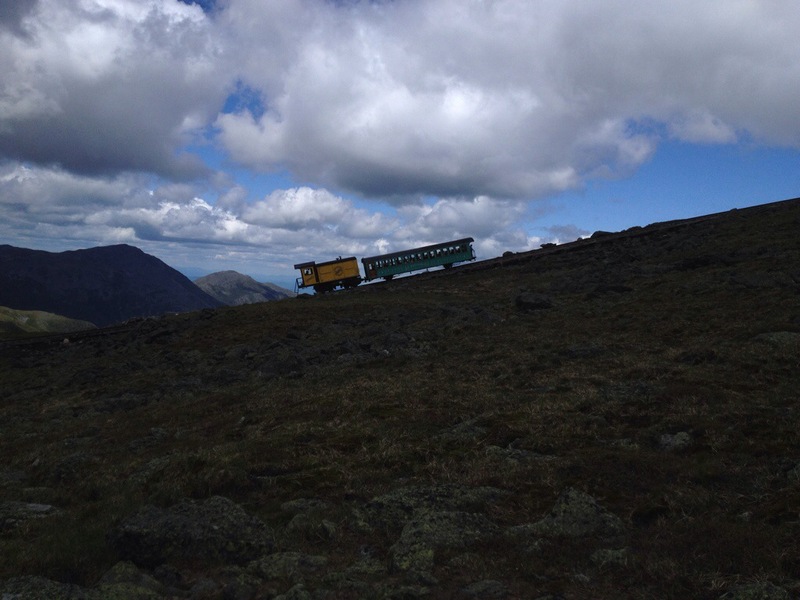 The cog railway even made a special appearance. There’s an old hiker tradition of mooning the train. As a young couple made preparations for the act, they noticed me and reassessed. Damn! It would have made a great photo. They both smiled demurely as we passed. 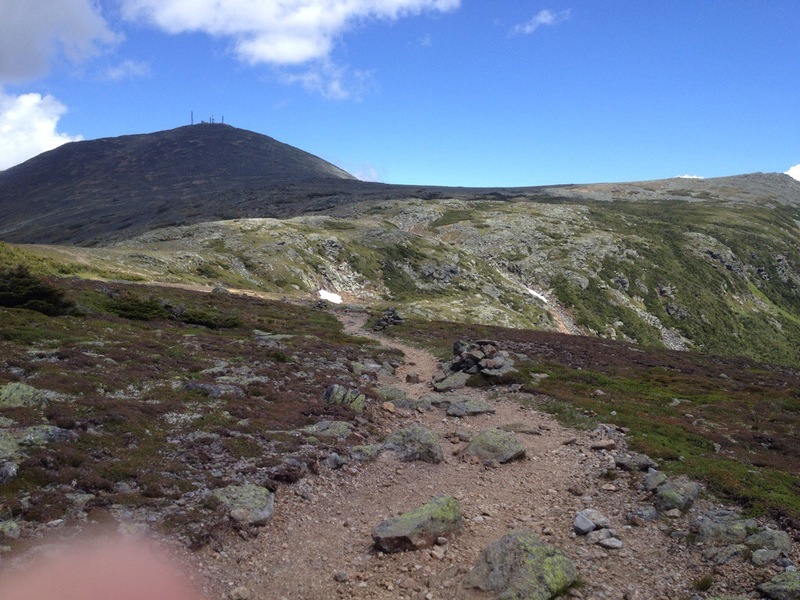 Tomorrow the White Mountain Hostel in Gorham will pick us up when we reach Pinkham Notch. From there we’ll plot the 21-mile slack pack over the Wildcats. More to come. Mt. Washington with a tiny bit of snow remaining.